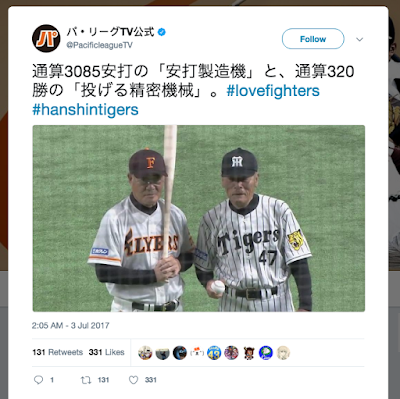 This is only the fourth time in Japanese professional baseball history that a team has come back from a ten run deficit and the first time in almost 20 years. This was the second pinch hit walk off home run Ohmatsu had hit this year - he's now the fourth player in NPB history (and first in 40 years) to have two pinch hit walk off home runs in one season. 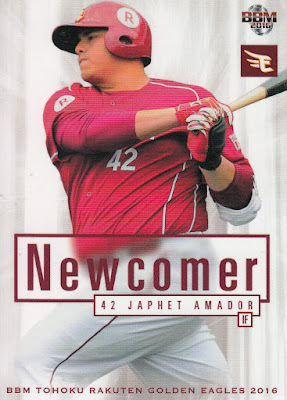 I was surprised to discover that Amador did not have a card in BBM's 1st Version set this year (obviously I missed this fact when I was looking at who was missing from the set a few weeks back). His only cards so far this year are in BBM's Eagles team set (which I don't have yet) and a team-issued Eagles set. I expect that he'll show up in BBM's 2nd Version set next month. - BBM's annual high end set Genesis will be released in mid-September. It has a 120 card base set - 108 player cards (9 per team) and 12 checklist cards. There are a number of parallels for each of the player cards but the website doesn't have any details. There are three 12 card insert sets - Elite Of Nine (which apparently are plastic), Star Burst (holo foil?) and Cross Squall (Holographic processing). I think that each of the insert cards are serially numbered to 50. The big thing for Genesis of course is the "premium" insert cards - of which there is one in every 12,000 yen (~$108) box. These include autograph cards, memorabilia cards (jersey, patch, hat, etc) and "booklet" cards. Some of the cards have multiple autographs or multiple pieces of memorabilia. - Epoch has announced two more of its modestly priced team sets - this time for the Tigers and the Giants. The base set for each of them will have 36 cards. The sets appear to have the same features as the other six Epoch team sets - photo variants for all the cards, a parallel version of the primary base set, some sort of insert cards and scratch off cards that give you points that can be redeemed for autographed cards. 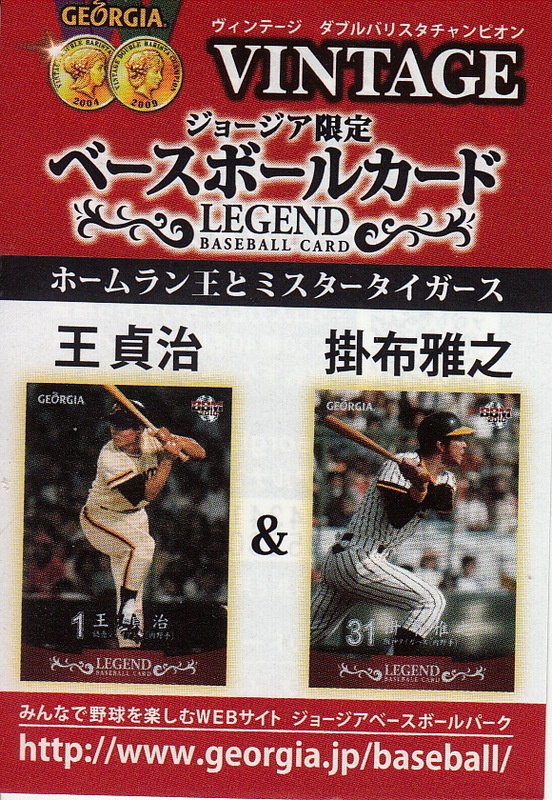 I'm not sure but I think that both of these sets will have multiple parallels for the base set cards. The Tigers set will be out on August 19th and the Giants set will be released a week later on the 26th. This brings the total number of team sets done by Epoch this year to eight - they've done the entire Central League but only the Lions and Hawks from the Pacific League. I am curious about whether they'll do any or all of the remaining four teams - the Marines, Fighters, Buffaloes and Eagles. - Epoch is releasing a set on the more expensive side of the ledger in honor of the 35th Anniversary of the Seibu Lions winning their first Nippon Series in 1982 (their first Series under Seibu that is). The set is sold in boxes containing two packs of three cards each for 14,040 yen (~$126). Each box is guaranteed to contain at least two autograph cards. The base set has 44 cards, all of which have a parallel version. There are what looks like six different types of autograph cards. All the players in the set have autograph cards. 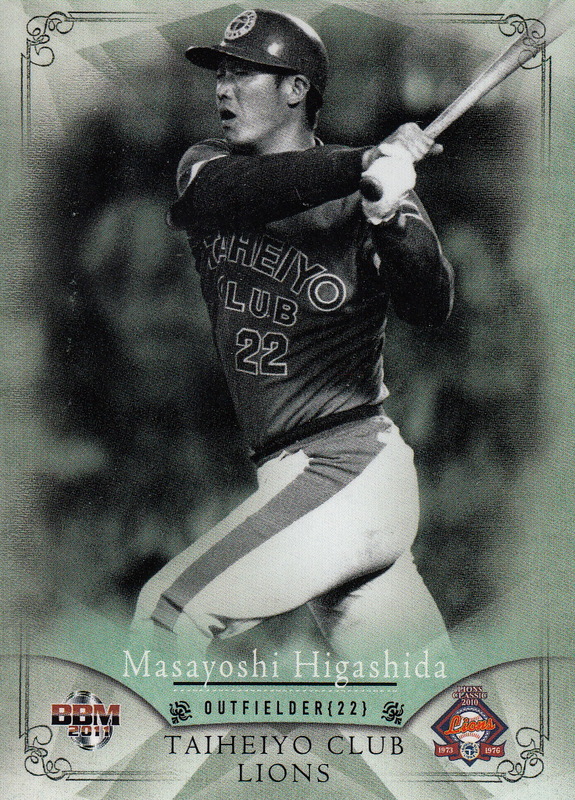 The 44 cards include Lions players who were not on the 1982 team like Fumiya Nishiguchi and Kiyoshi Toyoda. The set will be released on August 26th. - Topps recently released their Allen & Ginter set for this year and it (like their Museum Collection last month) features a handful of WBC relic cards. There are seven cards for Samurai Japan members - "World Baseball Classic Relic" cards for Shintaro Fujinami, Takahiro Norimoto, Tomoyuki Sugano, Tetsuto Yamada and Yoshitomo Tsutsugoh and "Mini World Baseball Classic Framed Relic" cards for Yamada and Tsutsugoh. This is kind of disappointing as all five of the Japanese players with relics in this set had relics in the Museum Collection. Still hoping for a decent WBC set but it's looking less likely with every release. Back in 2010, BBM did some cards as a tie-in with Georgia Coffee, a coffee drink made by Coca-Cola in Japan that is sold in cans. You would get two cards with each can you bought. The cards were smaller than the standard card size. Gen from YakyuBaka (which of course is now YakyuDB) did a post about the cards he got. Apparently there were 60 possible cards which were issued in pairs - so for example the two cards that Gen got - Shohei Tateyama and Toshiya Sugiuchi - are always paired up together. All 60 cards are for active players. 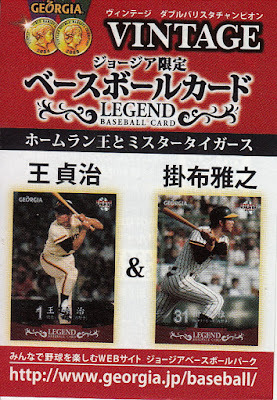 I wonder if the pack that the Takagi and Tatsunami cards came out of had a little flyer with those two cards on it. 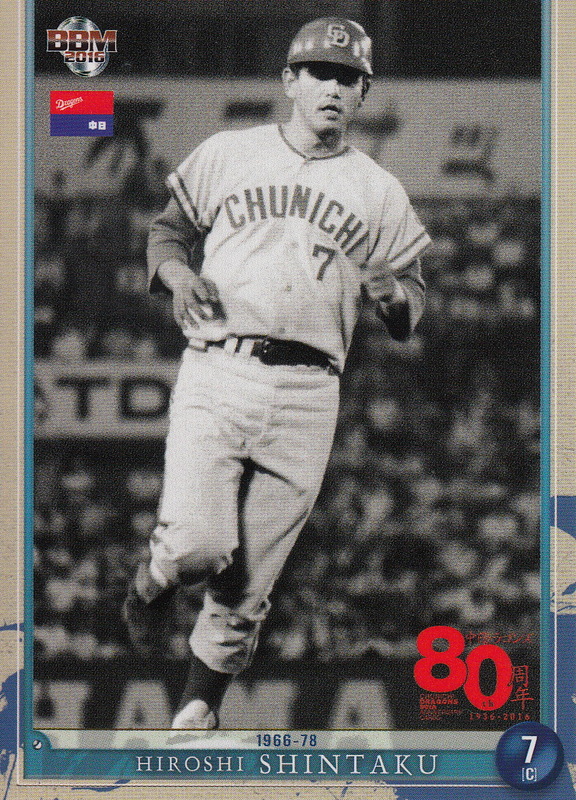 Friday night the Carp were down 8-3 going into the ninth inning against the Swallows at Jingu Stadium but it didn't stay that way for long. Pinch hitter Xavier Batista lead off the inning with a home run, his sixth of the season (of those I think at least three of them were pinch hit homers). 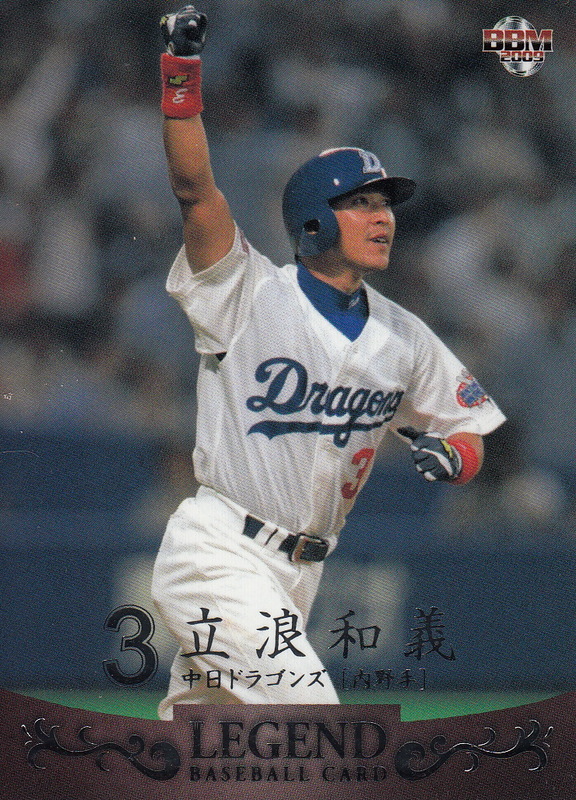 After Kosuke Tanaka grounded out Ryosuke Kikuchi homered to make the score 8-3. 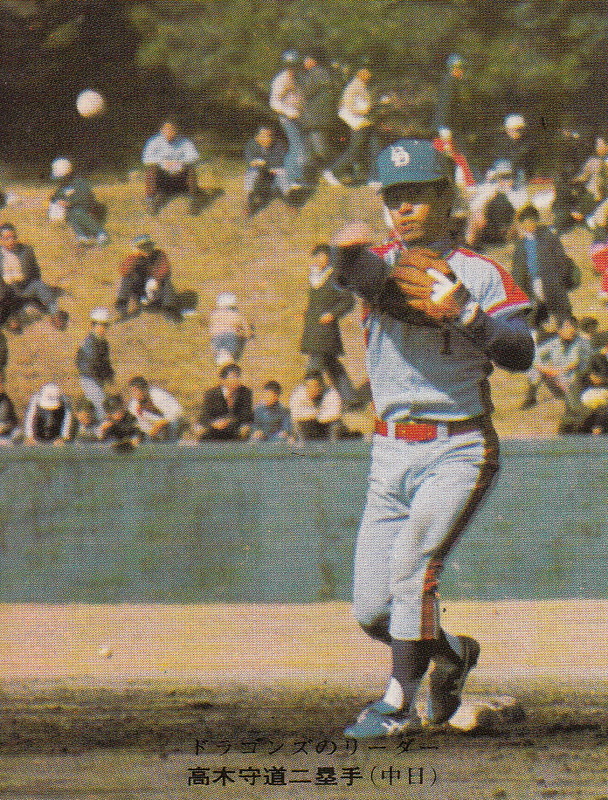 Yoshihiro Maru followed with a walk and scored two batters later when Ryuhei Matsuyama doubled. Pinch hitter Ryoma Nishikawa then singled to put two on for pinch hitter Takahiro Arai. 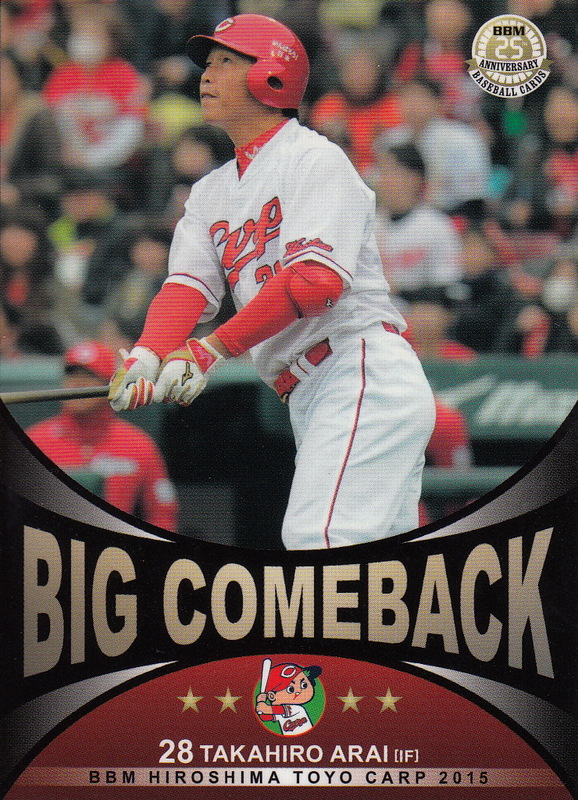 Arai then launched a three run home run to put the Carp up 9-8 which was the final score. 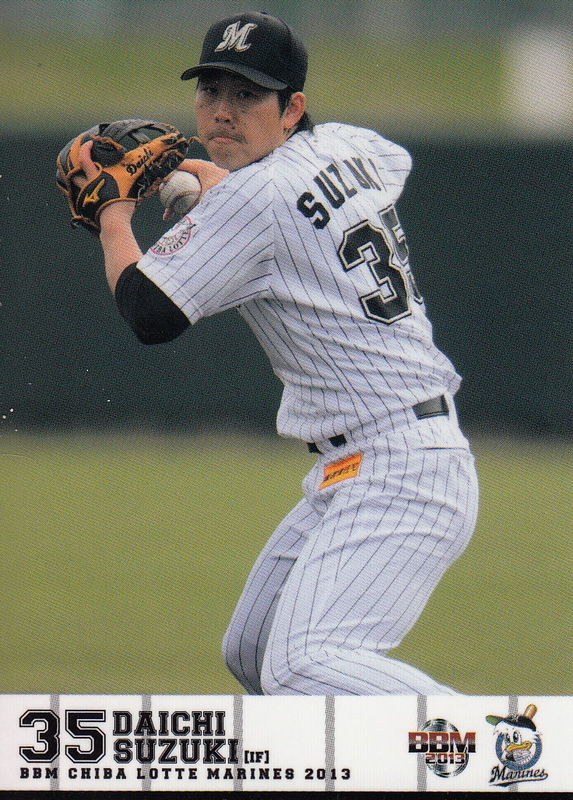 To some degree lightning struck again today - the Swallows were up 3-2 going into the ninth but Arai came up as a pinch hitter again and this time hit a double to tie the game up. 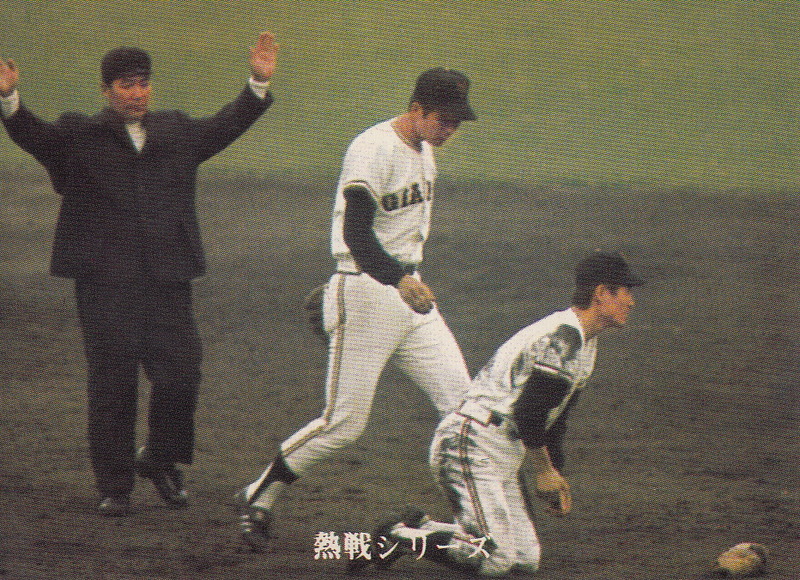 Both ninth inning rallies were at the expense of Yasuhiro Ogawa whom it looks like the Swallows had been considering turning into a closer. The ending was a little better for the Swallows - the game remained 303 after 12 innings and so goes into the books as a tie. "Last played for DET"? Wait...what? 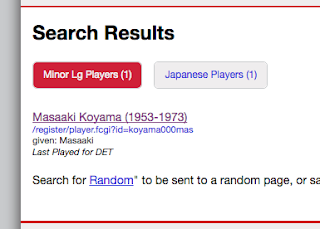 Clicking on Koyama's page revealed (in addition to confirming that Koyama had 320 wins) that Koyama had pitched 3 innings in one game for the Detroit Tigers Florida Instructional League team in the fall of 1967. A little more research revealed that there were three other Japanese players on that team as well. Now I had known that there were Japanese players with a couple of the Giants Arizona Instructional League teams in the 1960's but I hadn't realized that there were other teams who hosted NPB players as well. So I started going through all the teams that Baseball-Reference had data for in both Florida and Arizona and came up with a few more. 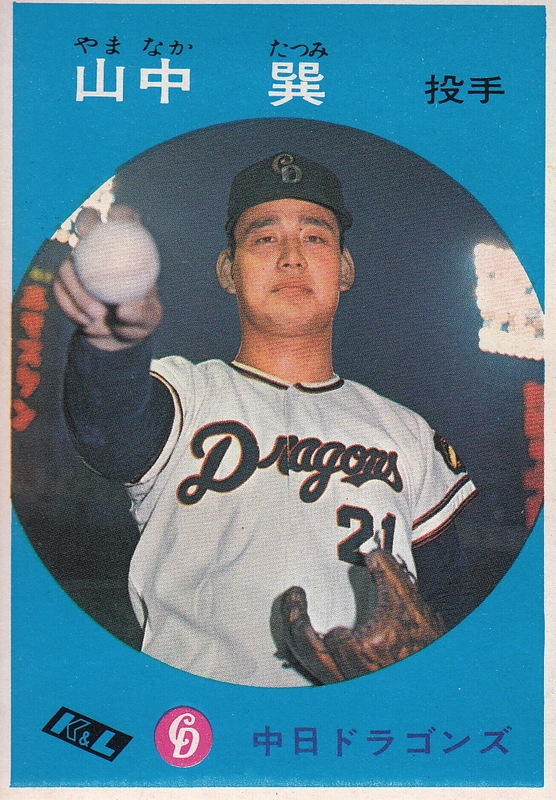 The Washington Senators hosted three Chunichi Dragons in the fall of 1965 with their Florida team. 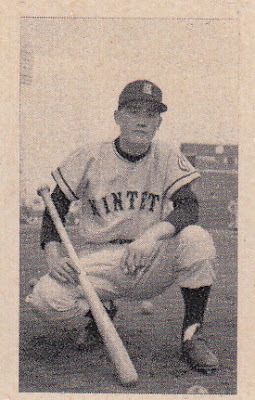 In 1966 there were three teams with NPB players - the Dodgers in Arizona had three players from the Yomiuri Giants while in Florida the White Sox had two players from the Sankei Atoms and the Tigers had two players from Chunichi. The Tigers hosted four players (including Koyama) from the Tokyo Orions in 1967 and four players from two different teams (the Orions and the Nishitetsu Lions) in 1968. 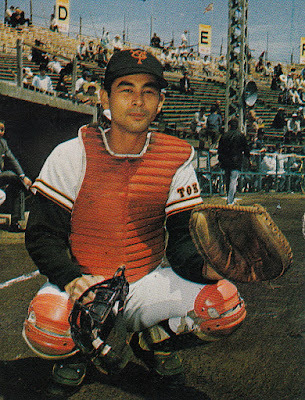 1968 Florida Tigers Yasuo Otsuka Tokyo/Lotte 1966-72 Listed in Baseball-Reference's page for the team as "Yashsheo Otsuka"
This is a pretty impressive list of players. Out of 18 players, 13 were All Stars at least once. There's also two Hall Of Famers and three Meikyukai members (which includes the two Hall Of Famers). 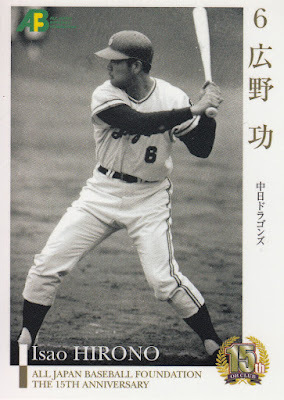 As far as I can tell Ikebe is the only one of the other six players who ever had a baseball card. He has two cards in the 1974/75 Calbee set. 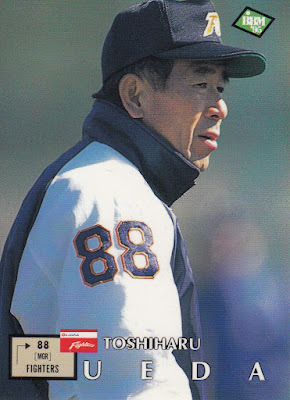 Hall Of Fame manager Toshiharu Ueda passed away last weekend. He managed the Hankyu Braves from 1974-78 during which time the team won four Pacific League pennants and three Nippon Series Championships. 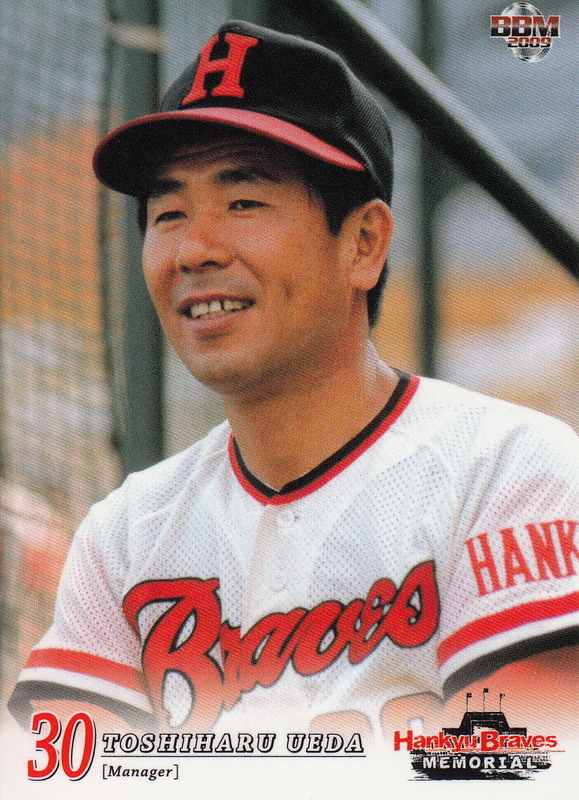 He came back and managed the team again from 1981 to 1990 - the last two years of which the team was known as the Orix Braves. He also managed the Fighters from 1995-99. 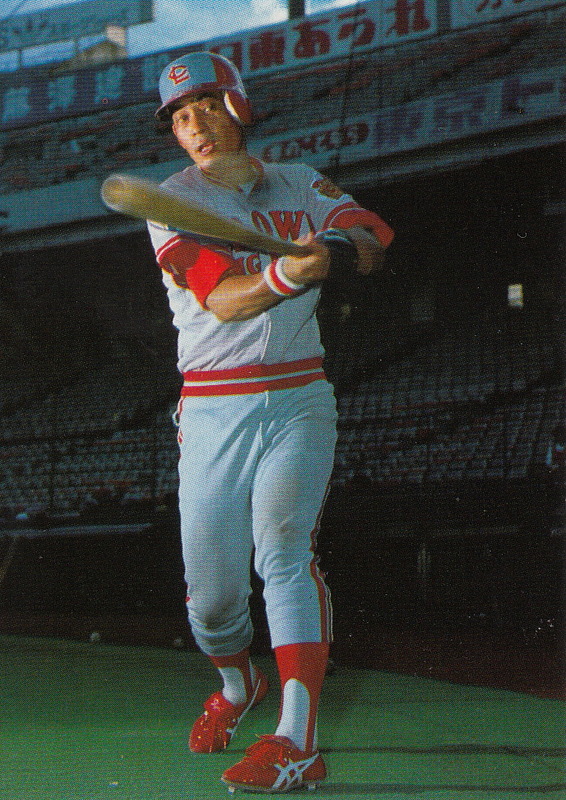 He was elected to the Hall Of Fame in 2003. 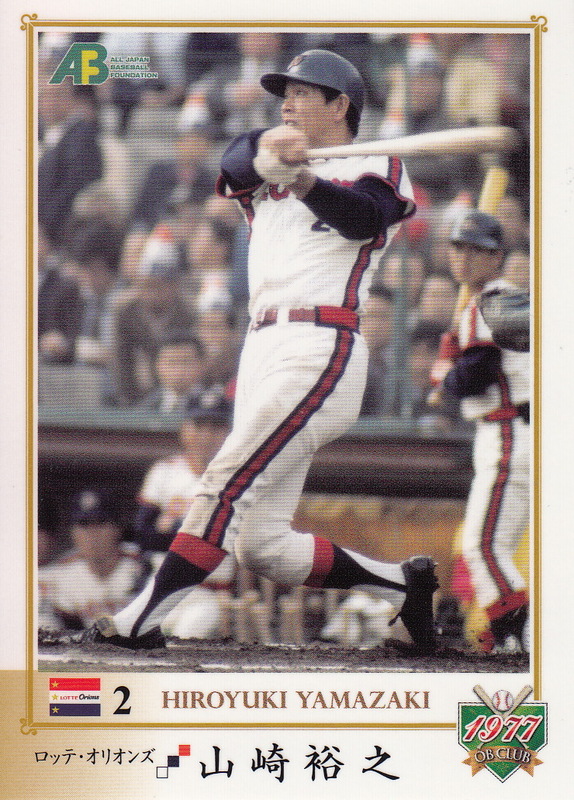 I'd write more about him but it would be better if you just read Jim Allen's appreciation of his friend who was laid to rest today in Yokohama. Thank you for your contacting us about Calbee baseball chips. We were sold the first of it from 27,March on this year. shortage of potatoes what effect of typhoon to Hokkaido last year. because harvest of potato is favorable from Kyusyu. to release of the second. However we prepare for selling it. We would like you to wait for informing release date at Calbee HP. It turns out that there is a potato shortage in Japan right now. Calbee uses potatoes from Hokkaido and the Hokkaido potato crop was disrupted by a typhoon (or several typhoons - the news stories I've seen don't agree on the number) last summer. 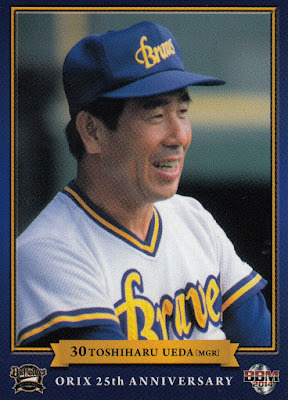 Calbee's had to stop production temporarily of a number of their products and that includes the "Professional Baseball Card" brand. It looks like there are potatoes back in the pipeline both from Kyushu (which is what I think they meant by "Kyusyu" in their email) and Hokkaido so hopefully there will be news soon on when the cards will be out. I had seen some items on Calbee's website talking about the crisis but since I don't think about the cards in conjunction with the potato chips, I didn't realize that it would affect the release of the cards as well. A few months back when I did a post on BBM's new 1st Version set I had made my usual complaint that with each team only getting 27 cards to cover their manager and players and each team having ALL their non-ikusei rookies included that there were bound to be significant players left out of the set although at the time I couldn't come up with anyone. I took a look at the All Star rosters that got announced last week and came up a list of 2017 All Stars who are missing from the 1st Version set - Alfredo Despaigne and Seiji Uebayashi of the Hawks, Takumi Akiyama and Ryutaro Umeno of the Tigers and Kazuki Yabuta of the Carp. Now to be fair I probably shouldn't include Despaigne on this list as he didn't officially sign with the Hawks until February 15th and he didn't show up in training camp until late March since he was playing in the World Baseball Classic with Cuba. But there's really no excuse for the others to have not been in the set and I would expect them to be included in BBM's 2nd Version set coming out in August - either in the "1st Version Update" or in the regular player cards. There were a couple other guys I was a bit surprised to realize weren't in the set - Tomohisa Ohtani of the Marines and Luis Mendoza of the Fighters. 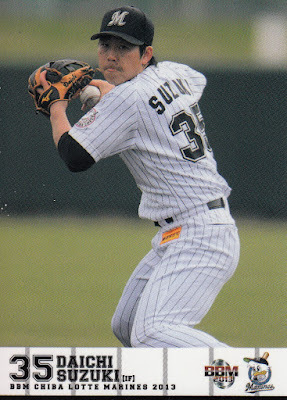 I was also surprised that Rafael Dolis of the Tigers was not in the set but he didn't sign with Hanshin until February 23rd which was probably after the cut off date to make the set. I would expect all three of them to be in 2nd Version too. A couple other names I expect to see in 2nd Version who signed too late to be in 1st Version are Munenori Kawasaki of the Hawks and Ramiro Pena of the Carp. It's possible that Xavier Batista of the Carp and Chris Marrero of the Buffaloes may have signed in time to be in 2nd Version. Batista was actually an ikusei player who didn't get registered onto the official roster until June 3 so he was around and BBM should have photos of him. 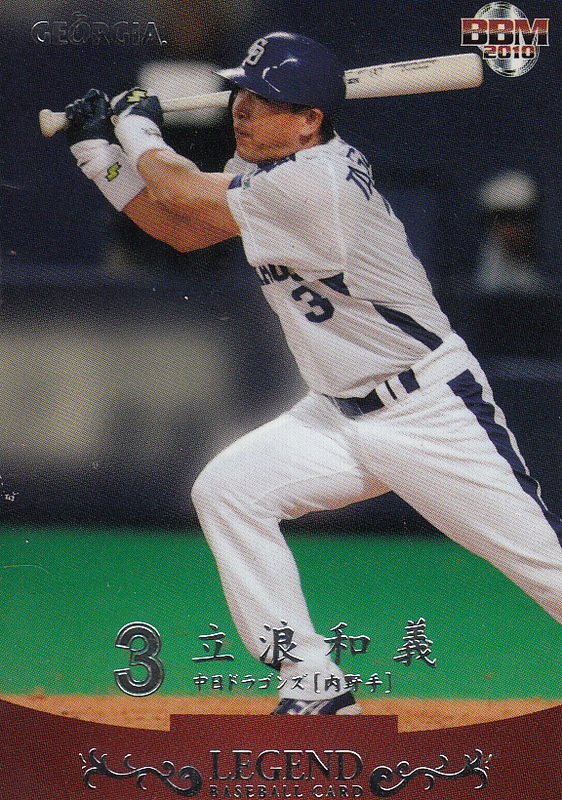 Marrero registered on June 1 but I'm not sure when he actually put on an Orix uniform for the first time. Guys like Wily Mo Pena of the Marines and Stephen Fife of the Lions most likely registered after the deadline for 2nd Version. Hopefully BBM will do the Fusion set again and include a "1st Version Update" subset for them and any other foreign players who have signed or will sign with a team between 2nd Version's cut off date and the end of July (the last date an NPB team can add a new player). 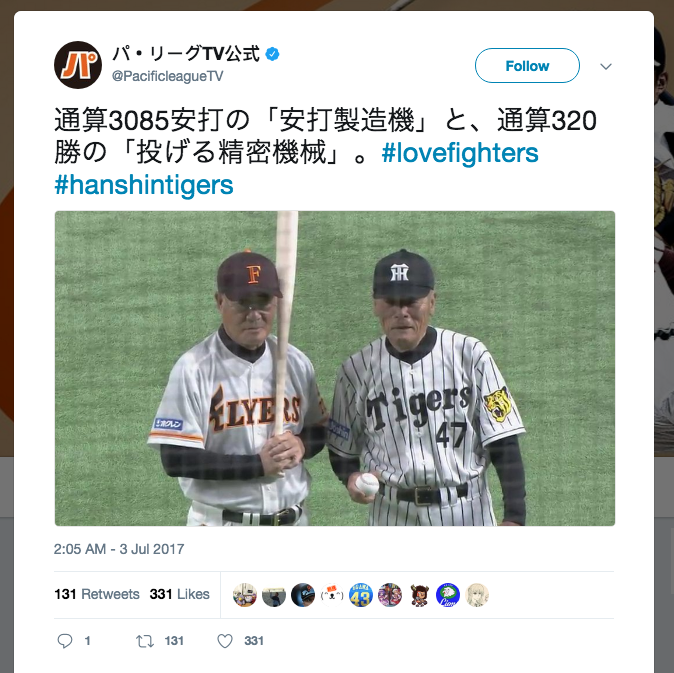 The big news this past weekend was that Shohei Ohtani made his first pitching appearance of 2017 with the Fighters' farm team on Saturday. As I'm sure everyone already knows, Ohtani's been out with an injury for the better part of the last three months - until he made a couple pinch hitting appearances last week he hadn't been in a game since April 8th. Ohtani then walked Ryo Sakata and hit Masato Kumshiro before getting out of the inning by getting Shogo Saitoh to fly out. 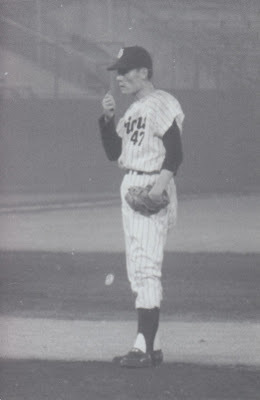 He ended up only pitching the one inning, throwing 27 pitches (I think). 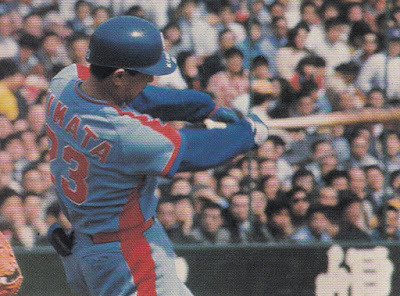 Instead of talking more about Ohtani with this post however I thought I'd write a little bit about Yamakawa. 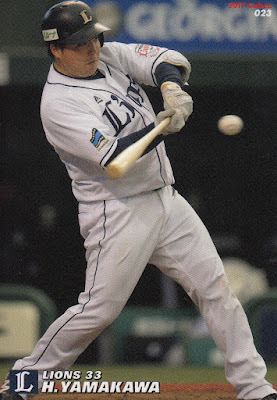 Hotaka Yamakawa was the second round pick of the Lions out of Fuji University in the fall 2013 draft (one round after the Lions took Tomoya Mori). 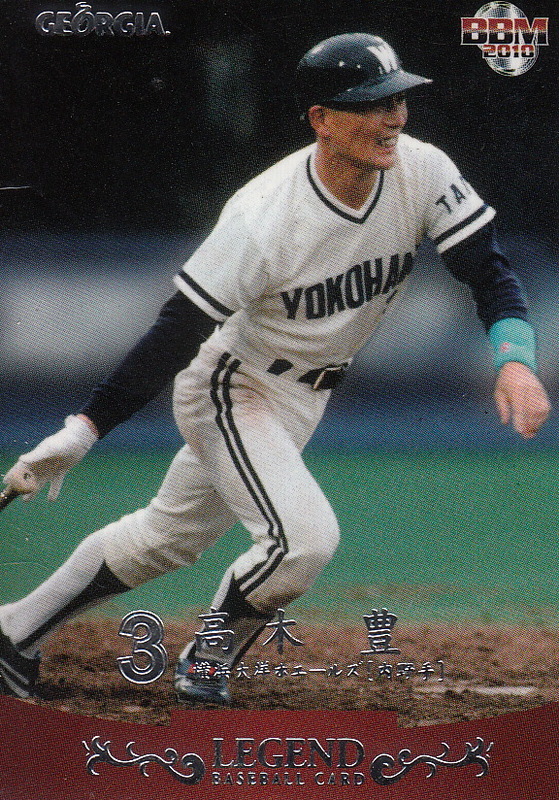 Yamakawa spent most of his time with the Lions farm team until last season when got a chance with the ichi-gun team and took it - hitting 14 home runs in 157 plate appearances in 49 games. 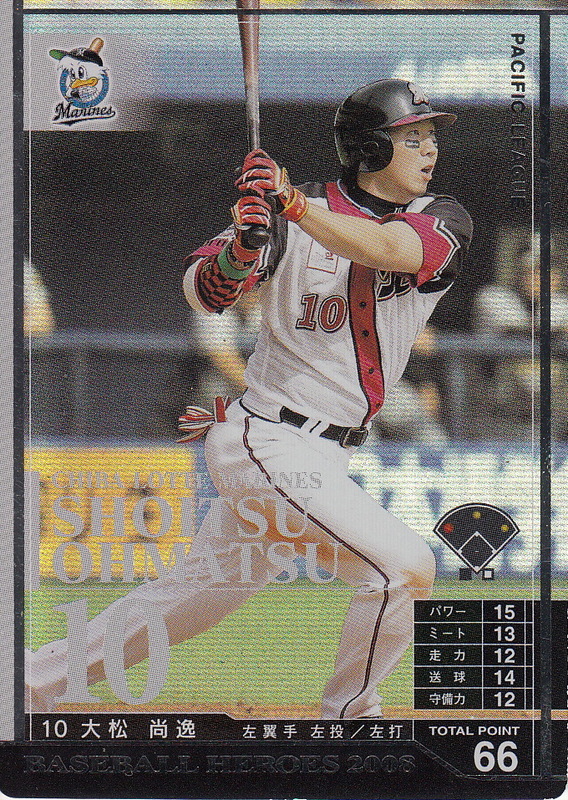 Among other things this earned him an appearance in BBM's 1st Version set this year (his first appearance in one of BBM's flagship sets since his rookie year of 2014) and his first ever Calbee card. 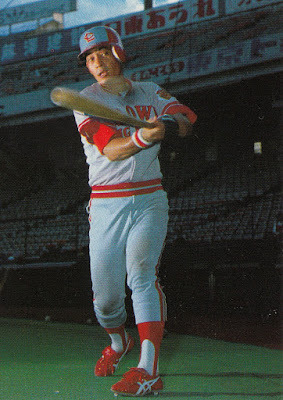 It doesn't appear to have actually earned him a permanent spot with the top team however as he's been back with the farm team for most of this season, hitting .323 with 10 home runs (including the one off Ohtani) in 36 games.